Loriann Signori, (Loriann Signori's painting-a-day) . I hasten to add that the prize is not confined to those who produce finished paintings plein air. Robin Purcell (Robin Purcell, watercolors in the plein air tradition) - who does most of her landscape painting in watercolour plein air - and produces some wonderful paintings as a result. However this is an award for people who do more than just paint plein air. The winners are also people to share information - that's what the "plus" is all about. Enrique Flores (4ojos) is the art blogger who caught my attention when the popular uprisings which have so characterised 2011 started in Spain. This is what I had to say on this blog back in May. 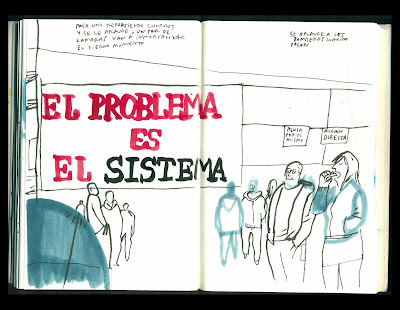 This week I've been watching one of my favourite sketchers Enrique Flores (4ojos) posting reportage sketches about the amazing peaceful protests by young people in Madrid within the context of today's elections. This, in a way, is the Spanish version of the revolutions which have been sweeping through the Arab world since the beginning of the year. 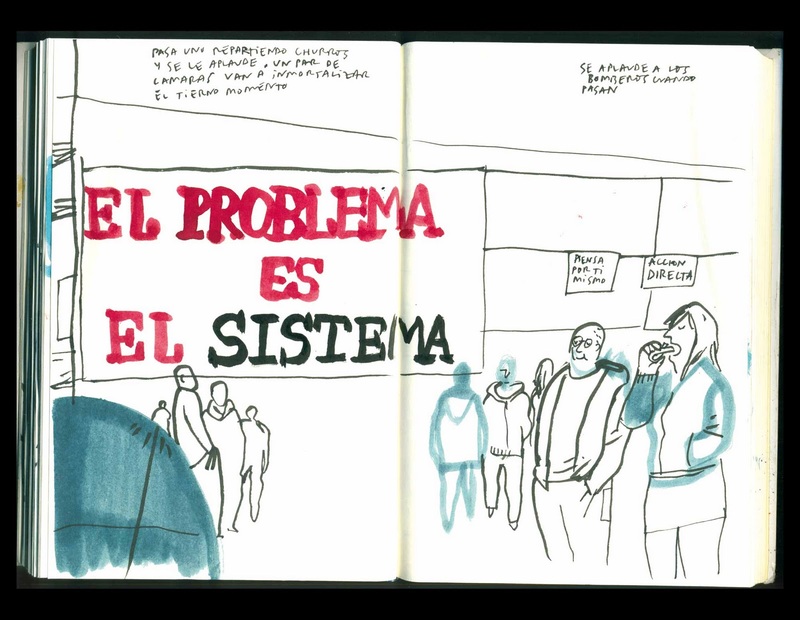 It's always worth recording the fact that those who sketch and blog can also contribute to a much wider understanding of how life is lived in some parts of the world. It's the drawing version of the cameraphone! He subsequently created a specific place to keep all his watercolour reportage sketches from the protests which went on for days prior to the election. Now my browser offers me automatic translation of the whole page I can at least read what he was saying inbetween his watercolour sketches! The paintings are not hugely well developed but just look at the quantity and the way in which he captures a live event - not knowing what was going to happen next at any time. Bear in mind he's also standing and painting wherever he can within the context of a crowded square in Madrid. It's a truly remarkable record - I've never seen anything like it before. The Travels with a Sketchbook Trophy goes to the most intrepid and/or industrious artist travelling with a sketchbook. My reason for saying this is that 200 or so Urban Sketchers from over 20 countries descended on Lisbon for the sole purpose of sketching and talking about sketching during the 2nd International Urban Sketching Symposium - July 21-23, 2011. It was a resounding success. Their output was truly impressive - as were the videos of people sketching people sketching! 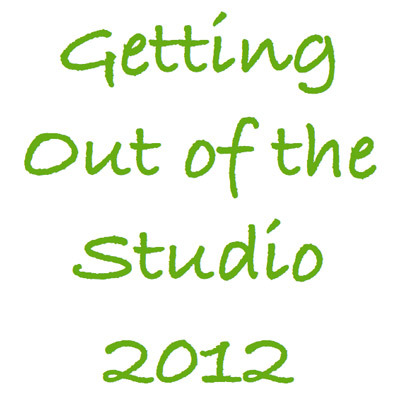 The Going Greener Gong is awarded to the art blog which I've found most stimulating in relation to getting us in touch with nature and the environment. 2007: Richard Bell's nature diary Wild West Yorkshire. 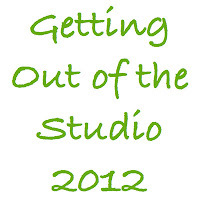 2009 Sketching in Nature - a group blog started in April 2009 by Cathy Johnson. What I often get from the people who win this award is the sheer pleasure in their experience of nature and life in the wild - no matter what form it takes. The award includes all those who blog about animals, birds, flowers and plants. Blogs are not required in any way to limit themselves to just those topics but they do need to have a feel for being green and sustainable about them. They also get extra points for getting out and about and drawing from life! My favourite blog - and one which I always make a point of reading in a leisurely way - is Sherrie York's Brush and Baren. I love the way her linocuts emerge slowly - through the cutting processes and the different inks until a wonderful image emerges at the end. The combination of structure and creativity is awesome! What is especially noteworthy is Sherrie has the ability to make you look more carefully at nature - at what you take for granted when out and about. I see what she can make of something and feel inspired to do the same. Her artwork speaks volumes about her love of her environment and the natural world - and the video below does quite a good job too! PPLD Off the Wall - February 2011 from PPLD TV on Vimeo.